New rules took effect for farmers on December 1st to reduce the use of antibiotics in Canada. Livestock farmers will now require a veterinary prescription to treat their animals with antibiotics. 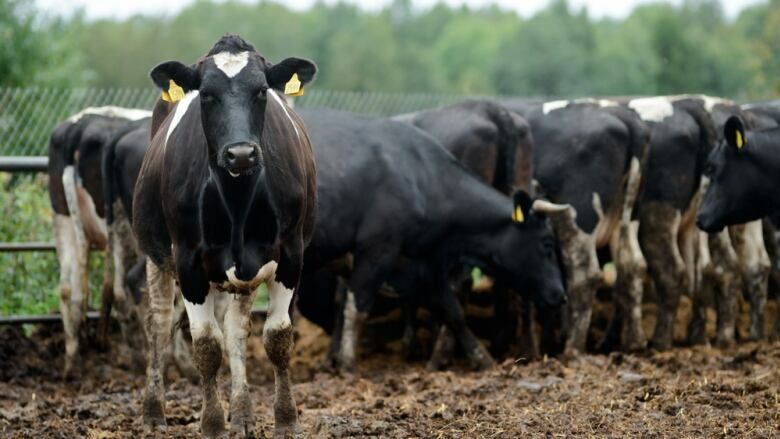 Farmers can no longer pick up most antibiotics without a prescription from a veterinarian. "These changes are all coming from Health Canada," said Dr. Mac Littlejohn, a veterinarian at the Kirkton Veterinary Clinic in an interview with CBC Radio's Afternoon Drive program. "The health organizations of the world have decided we need to do a better job of using antibiotics and you need a professional, whether it be a medical doctor, a pharmacist or a veterinarian to oversee these antibiotics so we're not just throwing antibiotics at a problem." Littlejohn said more effort needs to be put into using different methods, such as vaccines, to ward off bacterial diseases. "It has been proven that the lower the use of antibiotics, whether it be prescribing medications to a five year old or prescribing antibiotics to a dog or a cat or a cow or a pig, you reduce the exposure and therefore you reduce the chance of resistance within the bacterial population," he said. Some farmers have complained the new rules will cost them more for veterinary services when they used to be able to purchase antibiotics over the counter at a feed store or other retail outlet. But, Littlejohn doesn't believe most farmers will experience a big difference with the new rules, especially if they already have a working relationship with a veterinarian. He estimates at least 95 per cent of livestock farmers have that kind of relationship. "For the majority of my clients, nothing is going to change for them other than the fact if they were driving through their closest small town that had a feed mill/farm store and they needed a bottle of penicillin they won't be able to pick it up now unless they have a prescription." Littlejohn said he'd been willing to drop off medication when he's out and about making calls. "I think [the changes] are positive," he said. "When an animal or group of animals is getting an antibiotic there's a veterinarian that knows about it."